Mel Brooks: A Lifetime of Laughter Mel Brooks has spent decades making people laugh, from '50s TV to such films as Blazing Saddles and Young Frankenstein. His musical The Producers was a Broadway smash. The comedy legend speaks with NPR's Susan Stamberg. 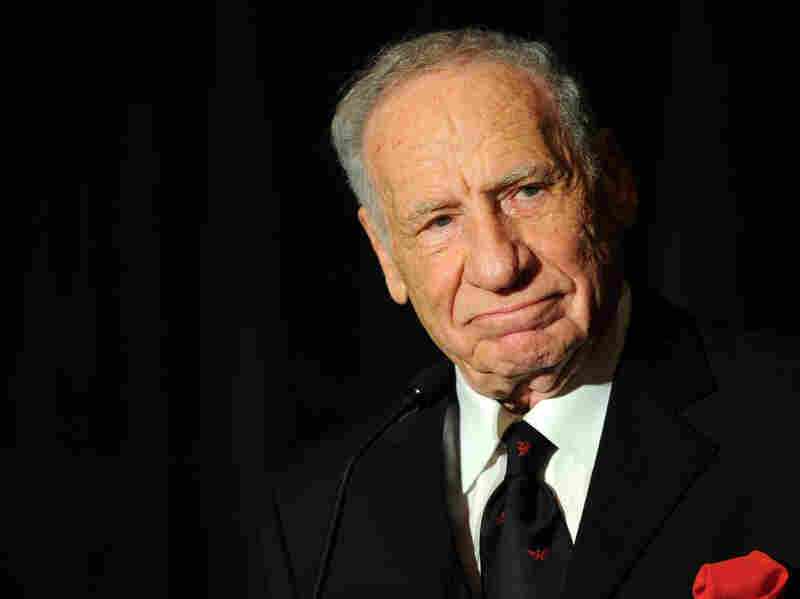 Mel Brooks has made a name for himself with comedy classics like Blazing Saddles, Young Frankenstein and The Producers. Mel Brooks has spent decades making people laugh. A big hit on television in the 1950s, he found silver screen success in the 1970s with such films as Blazing Saddles and Young Frankenstein. Currently, Brooks' musical The Producers enjoys huge success on Broadway and in traveling productions. The comedy legend speaks with NPR's Susan Stamberg. After decades in the comedy business, Brooks says he's not still in it just to get richer. "Nothing good comes out of going for the money," he says. "You've got to do it because you love it."